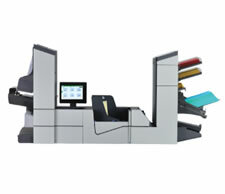 The FPi 6700 raises the bar in complicated mailroom processes with its high volume mailing capabilities. This powerful workhorse is fully customizable, create the conﬁguration that easily processes your organization’s business critical mailings. The FPi 6700 boasts a well-balanced operation with its matched feeder and exit capacities that allow mailrooms to run continuously with little interaction needed.